Hello everyone, hoping someone can help me out here, my cousin's son wants a pc capable running fortnite and 2 monitors, I've built a few PC's in the past but always ask advice before building anything to be used for games. Budget is £400 or under (ideally), they already have the monitors and I can sort keyboard, mouse & speakers out. There was also an article in the paper about a lady saying her sons mood changed when he started playing this game. A 10 year old playing a game that is 13+, need to stop pandering to the kids and be stricter. I mean a 10yr old v a mother... who's the one in charge in that situation? And I'm sure you never shouted at your parents when they wanted you to stop doing your favourite thing. A 10 year old playing a game that is 13+, need to stop pandering to the …A 10 year old playing a game that is 13+, need to stop pandering to the kids and be stricter. Anyway, back on topic. Building right now is tricky due to the inflated graphics card prices caused by sky high demand from compute users (primarily cryptocurrency mining). I'd be scouring sources of new and nearly-new pre-built machines for something with an RX 460, RX 560 or GTX 1050. Buy an xbox one x you can play in 4k 60 fps. Hit that on a pc for the same money. Would this run it? More importantly are all these parts compatible? Or would the above parts work and then spend more on the graphics card? 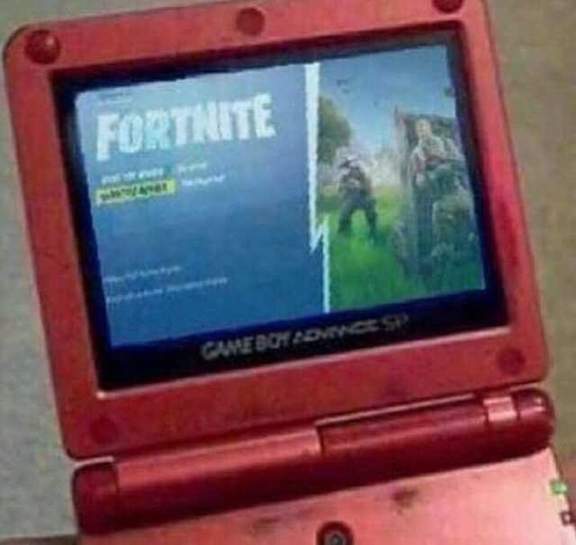 By the time you have built it nobody will be playing footnite, another game will be out next week. That would have been a reasonable system in 2012 when that graphics card and CPU were released but technology has moved on since then and something like a Ryzen 3 2200G will be both cheaper and faster. That would have been a reasonable system in 2012 when that graphics card …That would have been a reasonable system in 2012 when that graphics card and CPU were released but technology has moved on since then and something like a Ryzen 3 2200G will be both cheaper and faster. Coming close to £500 now. If it's all wrong please someone take pitty on me before I order it! Thanks for the links but would prefer something new / built as it's his main birthday present. Can you check the links above and tell me if it'll work please? Higher speed RAM would be better, especially if using the IGP. According to one of the questions, the motherboard is Raven Ridge ready (the 2200G/2400G), but should be updated. Apparently it'll run fine without a graphics card, we'll see tomorrow. I copied a build that was listed on various websites and YouTube which all said it ran fine with the option to upgrade in the future. All the parts arrived today, put it all together and..... Nothing. Constantly reboots after 15-20 seconds, no display, no bios speaker beep, nothing. Looking online it looks as though it may need a bios update which is impossible as it won't load at all. AMD will send a boot repair kit which is basically a compatible processor which will allow the PC to boot so I can update the bios and put the ryzen 3 back in. Hassle. All the parts arrived today, put it all together and..... Nothing. …All the parts arrived today, put it all together and..... Nothing. Constantly reboots after 15-20 seconds, no display, no bios speaker beep, nothing. Looking online it looks as though it may need a bios update which is impossible as it won't load at all. AMD will send a boot repair kit which is basically a compatible processor which will allow the PC to boot so I can update the bios and put the ryzen 3 back in. Hassle. If they already have them why spoil them? Kids need to understand the value of money. Unless you guys have a silver spoon and what have you. It's not for my kids, I'm just building it for my cousin's son. According to that answer, it should have worked... maybe yours is older stock? …https://www.amazon.co.uk/ask/questions/TxV2GE2WXIW2A6/ref=ask_dp_dpmw_al_hzaAccording to that answer, it should have worked... maybe yours is older stock? Hopefully the one Amazon sends today is new stock, the AMD boot kit option is hassle. Bad parenting, not bad game.